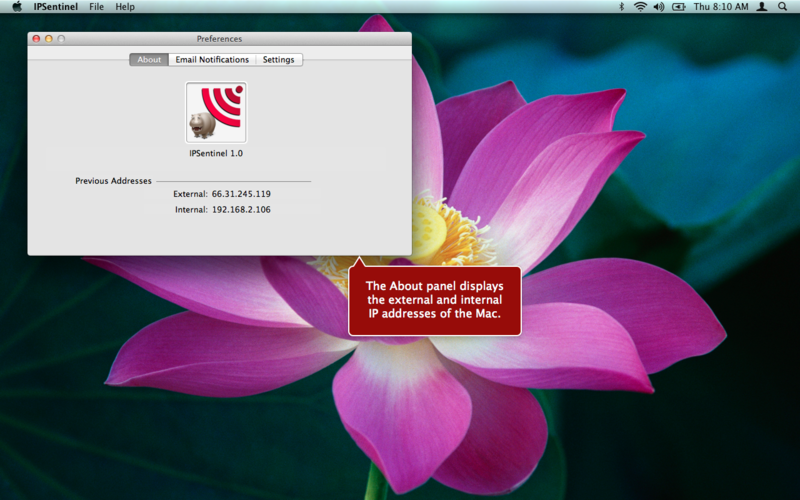 IPSentinel is an app for monitoring changes to your Mac's internal and external IP addresses. Since the app registers itself to receive notifications of changes in machine IP address, it is always current. This app is for users who do not require all the features of IPAddressSentinel, or do not want its menu bar status item displayed.